Come see the latest and greatest in tiny home living trends! Learn about simplifying your life and living greener and local. 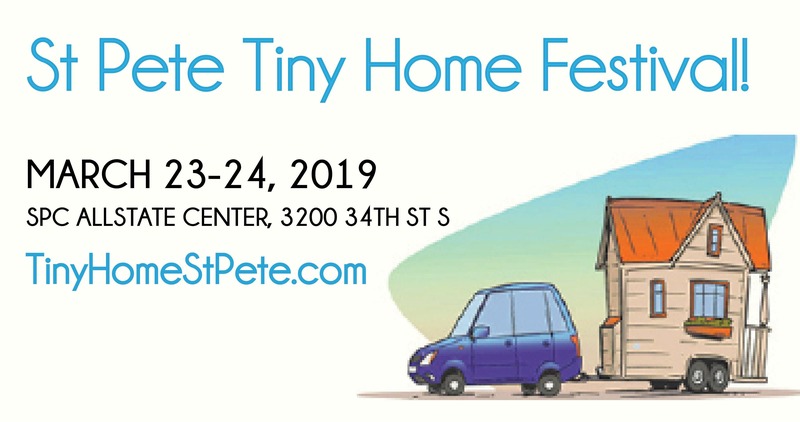 St Pete Tiny Home Festival & Live Local expo will feature tiny homes, micro homes, food trucks, mobile boutiques, artists, vendors, workshops, entertainment, children’s activities and much more! The event takes place March 23-24, 2019, from 10am – 6pm, on the campus of SPC’s Allstate Center conveniently located off of Interstate 275 on 34th St S, in St. Petersburg. More than 20 Tiny Homes, Skoolies and Converted Vans are coming to town! — 25+ Tiny Homes, Skoolies + Converted Vans!! For vendor and sponsorship information email ester@localshops1.com!